Deewansons first broke ground in 1960 by Late Mr. Harbans Lal Shoor as a family run company involved in the designing of Tools. Ever since its been working with the same enthusiasm and skills . With Over 50 years of Experience we have established firm hold over the industry which is the reason we are growing at a fast pace. With Experience & Technology skills we are making Hand Tools like spanners, pliers, wrenches, vices. Each Tool has been developed after the Extensive Study of Industry norms as well as client requirement. We use Qualitative Raw Material for manufacturing sourced from reliable vendor base. The material includes Drop forged carbon steel, vanadium steel, cast iron and others. We can efficiently custom make our range as per the technical specifications detailed by our clients. 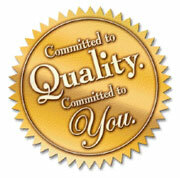 We go through Quality Control Policy which enables us to provide the Good Quality to our Valuable Clients.